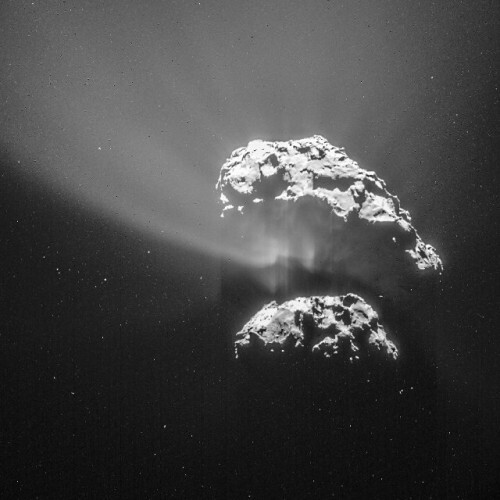 Last Saturday, ESA’s Rosetta space probe made a flyby just 6 kilometers (about 4 miles) away from the comet 67P/Churyumov-Gerasimenko, which is becoming more and more active because the approach to the Sun is sublimating its water ice. 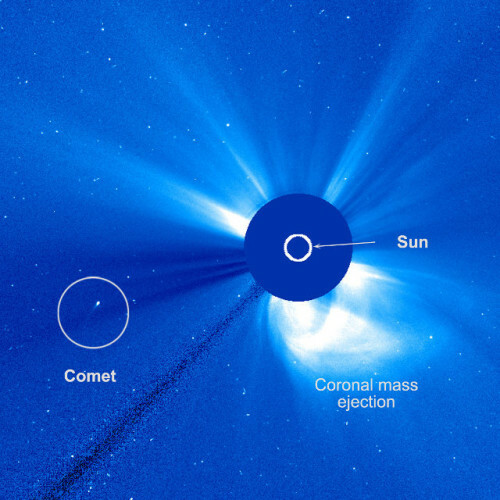 This maneuver is an important moment in the Rosetta mission for the possible analyzes but also because it starts a new phase in which the probe will move away from the comet for its passage closest to the Sun in August 2015. The Rosetta space probe’s flyby is the culmination of a series of maneuvers that started on February 4, 2015 when it abandoned the orbit in which he was flying, about 26 kilometers from the comet 67P/Churyumov-Gerasimenko. Initially, Rosetta moved away from the comet until it was 142 kilometers (about 88 miles) away then it moved close again and to reach the minimum distance on February 14.